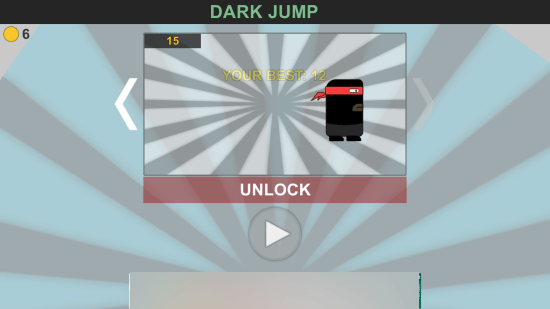 Dark Jump is another addictive game from Hungry Pixels. This is a free adventure game for Windows 8 and 8.1 computers. 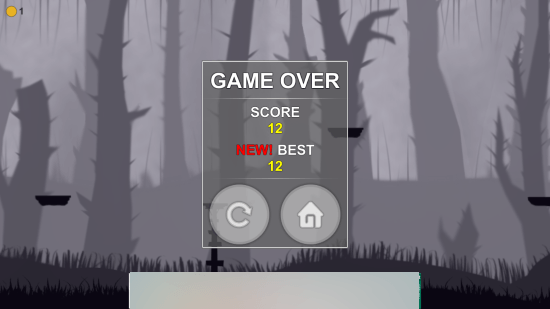 It is a jump game set up in dark environment, which gives a spooky and adventurous feeling. All that you need to do is jump from one platform to another, but you have to be careful as the movement of these platforms are unpredictable. This adventure game for Windows 8 tests your response and reflexes. Play this mind game on your Windows 8 computers or tablets. This adventure game for Windows 8 is a 10.3 MB game, which can be installed from Windows App Store. 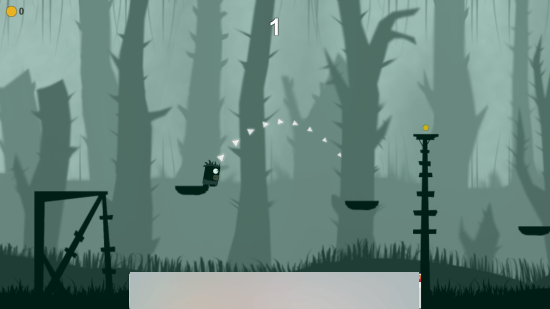 Type Dark Jump in the search box, to find this game. You can also get this game by clicking on the Download Link below. Click on the Install option on the game page. This adventure game for Windows 8 gets downloaded and installed. 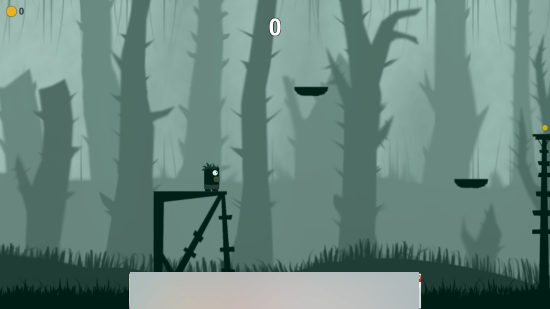 You just need to use your mouse to play this game for computers. 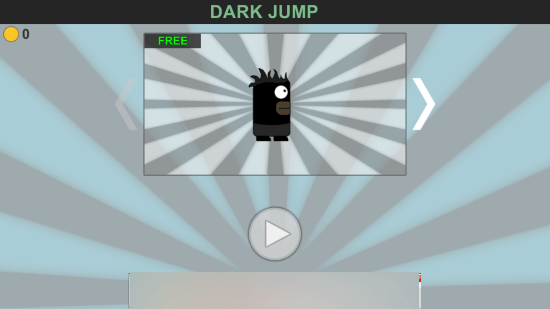 The start screen of Dark Jump lets you choose a game character to play. Click on Play to begin playing. This adventure game begins with your character standing on a platform ready for its first jump. All you have to do is, jump from the ledge, and land perfectly on other platforms. The platform without any base are moving ones, while the ones with pillars as base as stationary. 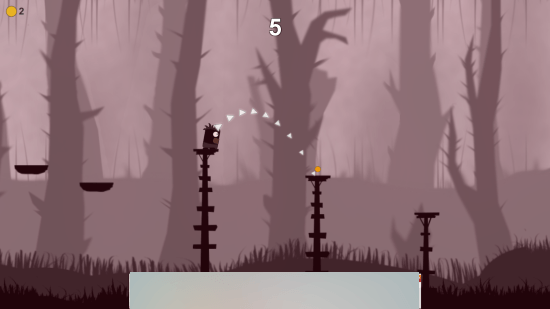 Click on your character, and drag the mouse to perfectly align the Jump. The white marker displays the path of jump. If you have played Angry Birds, you will be familiar to the gameplay. Jumping on stationary platforms is easy. Your reflex is tested when you try to jump on moving platforms. You also get to collect golden coins while you play this adventure game for Windows 8. Jump on the coin to collect them. Use these coins to unlock jump characters in this jumping game. This is an infinite game which gets tougher as you move forward. Keep hopping the platforms carefully to make highscore. At the end of this game high score and your final score is displayed. Make high scores and compete with your friends. This adventure game for Windows 8 is an addictive one, and a perfect time killer. The graphics are neat and attractive. Apart from being an entertainer, this game is also a good exercise for your brain. Download Dark Jump for Windows 8 and 8.1 computers today.